After breakfast start a sightseeing tour of Delhi. 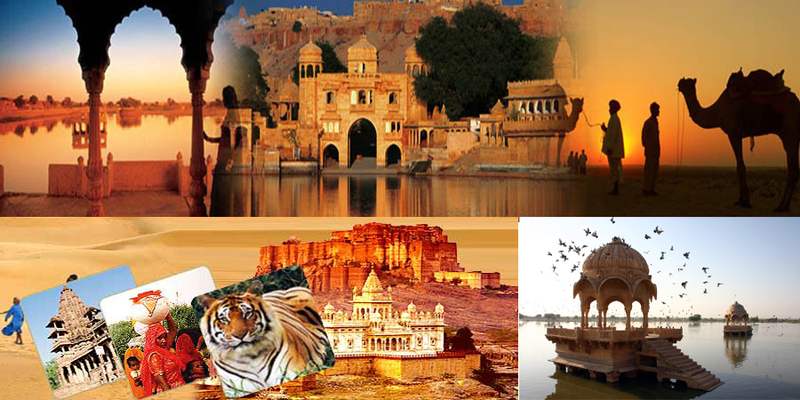 Visit Red Fort, Jamia Mosque, Rajghat, Chandni Chowk Market later proceed for New Delhi sightseeing tour visit India Gate, President House, Humayun’s Tomb, Lotus Temple, Qutub Minar, Lakshmi Narayan Temple. Evening transfer to Hotel. Stay overnight at hotel in Delhi. After breakfast proceed to Jaisalmer. On arrival check in Hotel. 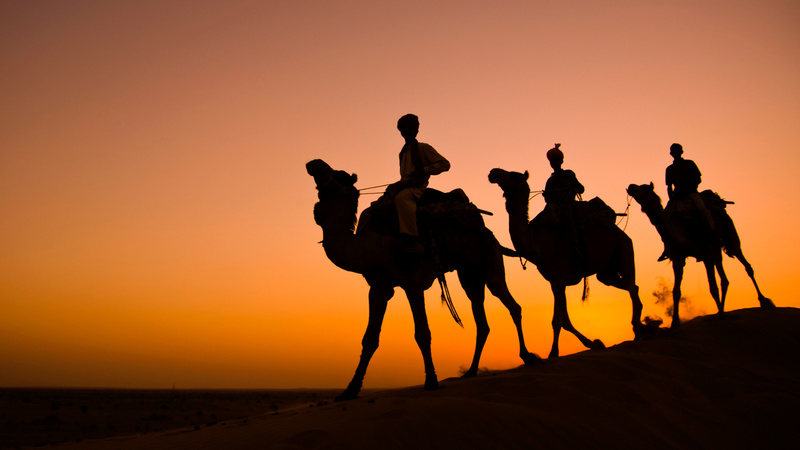 Stay overnight at Hotel in Jaisalmer. In the morning after breakfast proceed to Jaipur. On arrival check in hotel. Evening free for visit local markets. Stay overnight at hotel in Jaipur. In the morning after breakfast proceed to Delhi. On arrival transferring to the train station for an overnight train to Varanasi. Overnight: Train journey in an A/C coach. On this day after breakfast transfer to Airport for flight to Kathmandu. On arrival meet and greet later transfer to hotel. Stay overnight at hotel in Kathmandu. In the morning after breakfast start a half day sightseeing tour of Kathmandu. Pashupatinath Temple, one of the most important Hindu temple in Nepal. 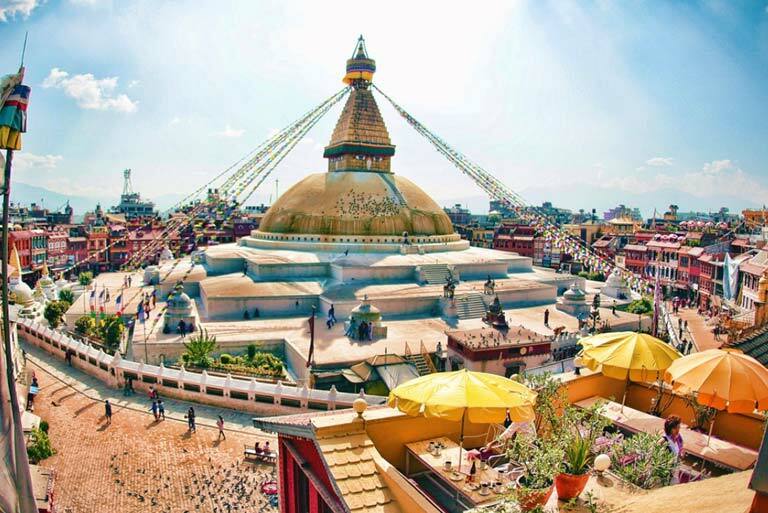 We keep going for walk to see the huge of stupa of Buddha, also known as Bodhanath, the largest stupa in Nepal. Afterward taking a ride to Bhaktapur, a fascinating town, visit Bhaktapur’s Dubar Square featuring the Victorian illustrations style with temples and temples complex. Later proceed to Chitwan. On arrival check in Hotel. Stay overnight at hotel in Chitwan. safari activities in Royal Chitwan national Park – if you are lucky, you will see many amazing creatures that you spend most time to looking for; rhinoceroses, Chitwan’s royal Bengal tigers, leopards, monkeys, many types of deer and reptiles. Check your camera gear – preferably with a telephoto lens and you will not miss any shots. Later proceed to Lumbini. On arrival check in Hotel. Stay overnight at hotel in Lumbini. In the morning after breakfast You will visit Japanese Stupa, Chinese Stupa, Vietnam Stupa,and many other Buddhist Stupas. Buddha’s birthplace, Mayadevi Temple Ashoka Pillars. Later proceed to Pokhra. On arrival check in Hotel. Stay overnight at hotel in Pokhra. In the morning after breakfast start a full day sightseeing of Pokhara, the most popular destination in Nepal after Kathmandu, spend enjoyably the morning trip along the bank of Phewa Lake, you can admire the stunning view of the Fish Tail’s Peak reflected in the silver surface of the water. You can also see the wonderful Annapurna panorama forms a superb backdrop to Pokhara from the lake. Aside from Phewa Lake, we keep visiting the Seti River gorge – one of the best places to see. You will have an opportunity to take a glimpse to the limestone cave of Mahendra Gufa, used to be well-known for its stalactites. Stay overnight at hotel. In the morning after breakfast proceed to Kathmandu. On arrival check In hotel stay overnight at hotel in Kathmandu. On this day transfer to Airport for flight to Delhi. On arrival meet and greet later transfer to hotel. Stay overnight at Hotel in Delhi. On this day transfer to Delhi Airport for flight to your onwards destination. A safe and comfortable air-conditioned Car with driver, all inclusive. (Fuel for car, road and state taxes, toll fees, parking fees, Insurance for Customer & Driver and driver’s food and lodging). All arrival and departure Transfers and land transportation according to itinerary. Arrival, departure, sightseeing in Varanasi morning Boat Ride, Evening Ganga Aarti and Sarnath. Train Ticket Delhi to Varanasi 2A/C. All arrival and departure Transfers and land transportation in Nepal according to itinerary.